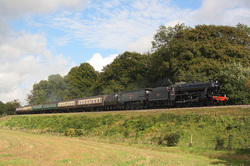 Black 5,45379+34007"Wadebridge" pass North Street on the 14.42 Alton to Alresford service. 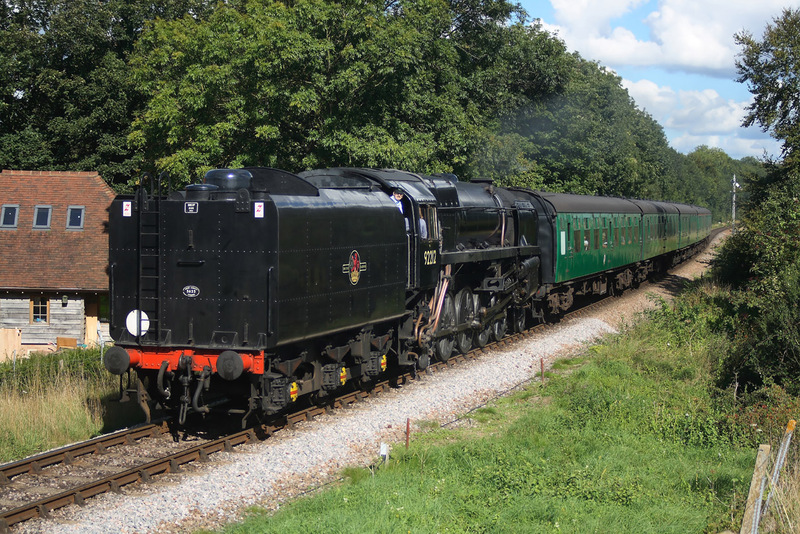 At the opposite end of the field at North Street,SDJR 7F NO.88+5MT 73096 pass on the 16.00 Alresford to Alton service. 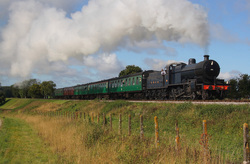 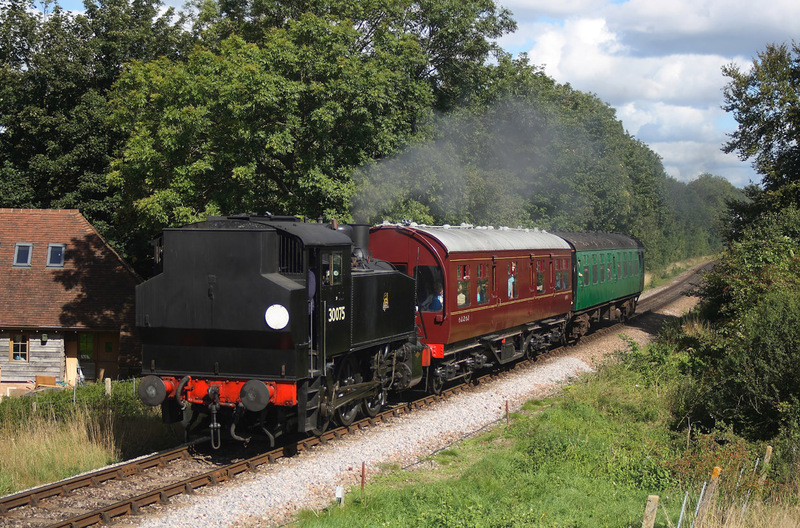 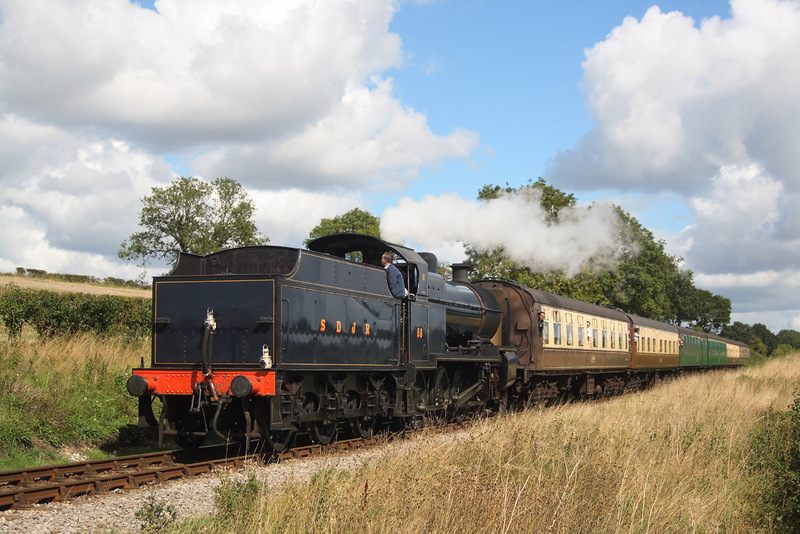 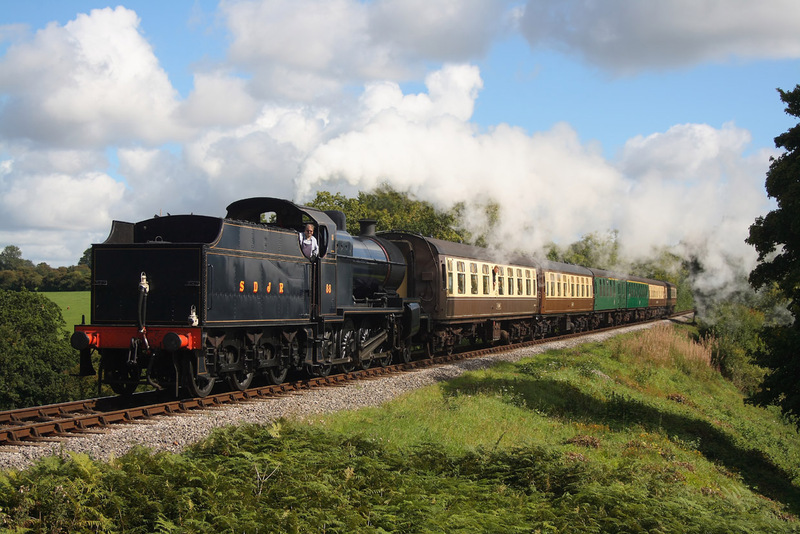 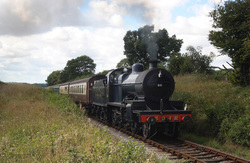 7F NO.88 ..09.32 Alresford to Alton. 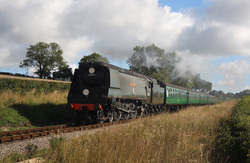 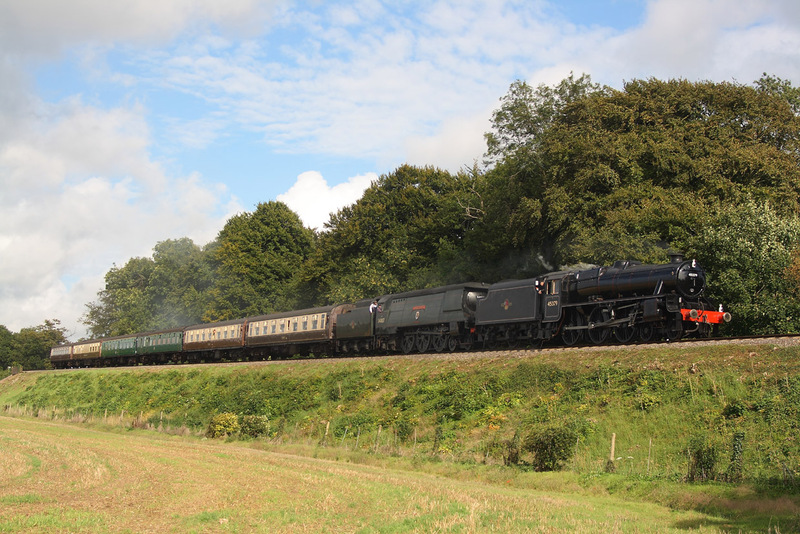 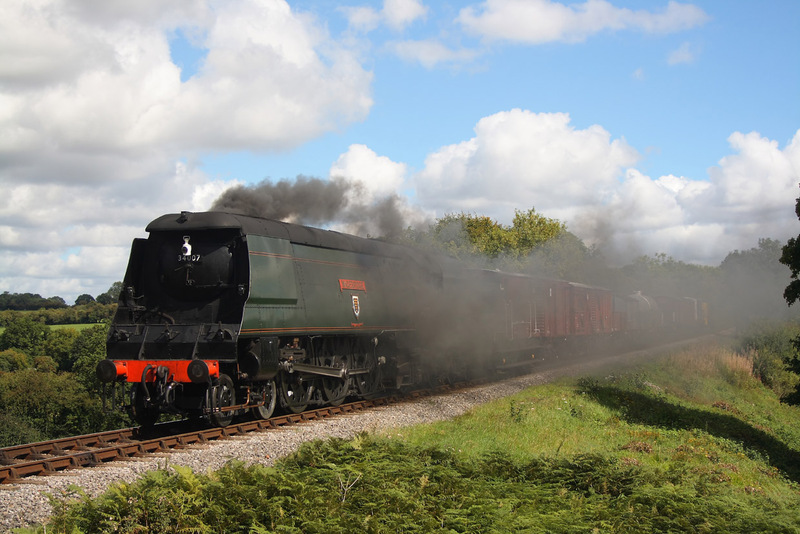 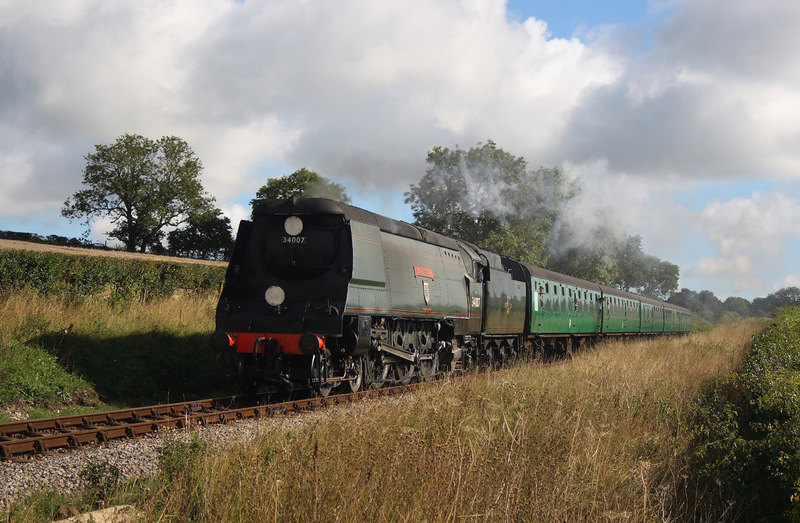 34007"Wadebridge" 09.55 Alton to Alresford. 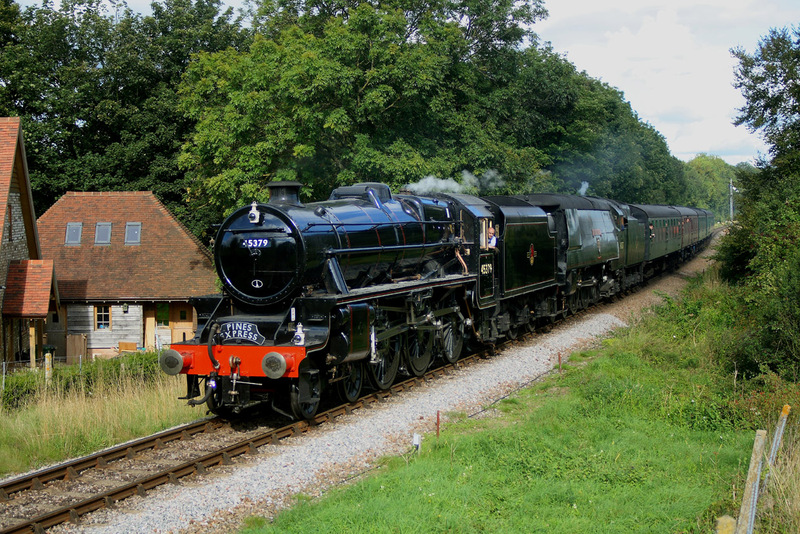 9F..92212, 11.58 Alton to Alresford. 7F NO.88 ..12.12 Alresford to Alton. 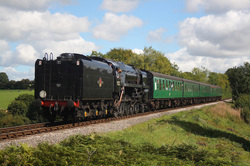 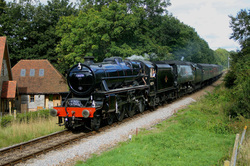 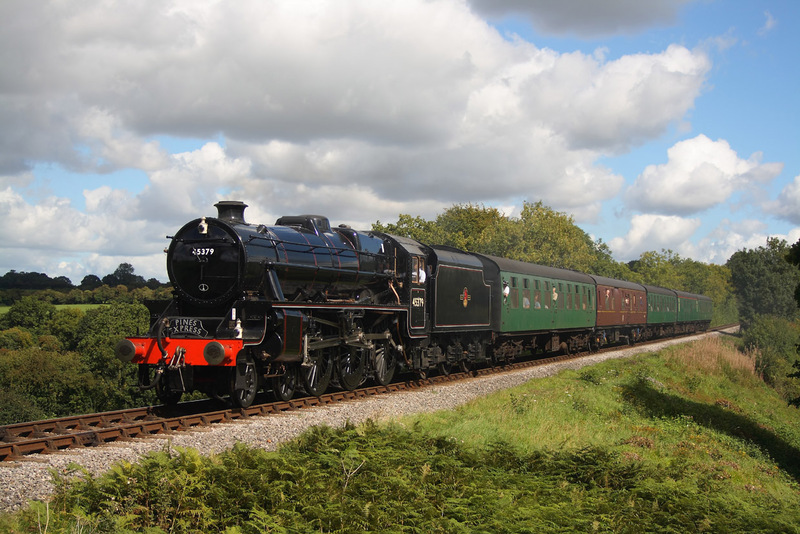 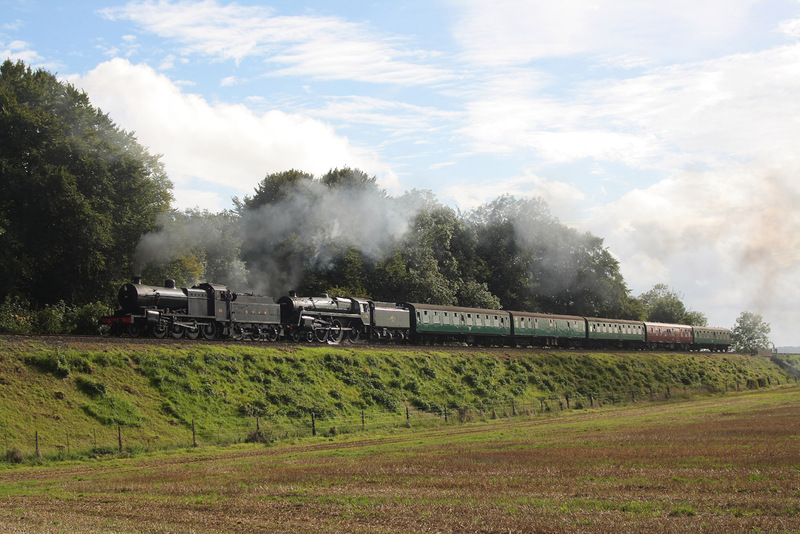 Black 5,45379..12.57 Alton to Alresford. 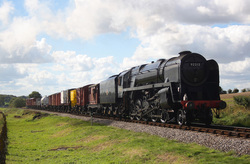 9F 92212 passes the foot crossing at Medstead with the 13.32 Alresford to Alton freight service. 9F 92212..Approaches the end of the line at Alresford with the 14.11 from Alton. Black 5 45379+34007"Wadebridge"16.45 from Alton.